A Genie in Starlight Shores #TS3 #TheSims3 – Nomadic Gamers, eh! The Sims 3 is such a large game with so many expansions that it’s quite easy to ‘miss out’ on some aspects of it. I have a steady family I normally play, but last night I was in the mood for something different, so I created Ellithia Reveur, a genie. The genie race is quite unique. If you don’t have a lot of time to cook or clean, they’re also perfect. You can summon meals from thin air. This was exciting to me – you’re given a drop down list of every single food item in game, and you can summon anything you want, at perfect quality. My genie is a vegetarian so that left a lot of things off of my personal menu, but it was still fantastic to see food I’ve never gotten to try before. You can also instantly clean the house, or your sim – or any other sims you happen to be around. So why not go make your town a cleaner place! I’ll admit, I can be a bit.. predictable, when it comes to creating my households. My female sims are almost always writers, or photographers. This time I decided to explore an entirely new career choice. I became a ‘sing-a-gram’ novice. This meant that I was self employed, basically. It’s a profession rather than a career in the games choices. While I was out and about during the day I’d get a random message that so and so had just earned a promotion, and how about I go deliver a sing-a-gram to them. Then a few minutes later I’d get another message saying that so and so was feeling down, how about I go cheer them up. Doing these sing-a-grams would give me experience towards the next level of the career, where I’d get more options. There are also events called ‘SimFest’ where people put on acts like magic, singing, acrobatics, and juggling. You can stand around and watch these shows, or when you’re good enough at a skill you can participate. The crowd judges you! It was awesome. I even got to go up on stage during a magic show and the magician cut me into a bunch of little pieces and then put me back together. Talk about thrilling. I’ve applied to a few gigs, and was booed off stage after my first hour of a two hour show. Not exactly great for my ego, but hey that’s alright. Eventually I’ll show them. I’ll show all of them! Then they’ll be sorry that they ever booed me. You also get to create a stage name for yourself. My stage name is ‘Sugah Sugah’ – and you can change it at any time should inspiration finally strike. As a professional singer you’ve also got the option to just randomly break out in song, or to sing for tips. So I’ve been heading to the lounges and setting up my microphone and trying to earn a few dollars from random passers by. Being a genie has certainly helped cut down the mundane tasks that my sim would be burdened with, and given me the ability to explore some options of the game I’ve never played with before. So far, it’s a lot of fun. Ellithia has been to the Summer Festival twice now, and performed once. I’m still doing a few small sing-a-grams on the side but I’m getting gigs. 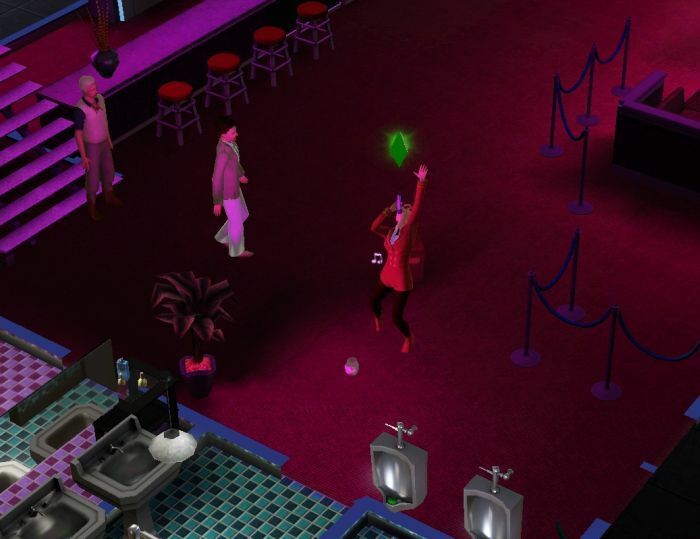 When your house hold is two or more sims, and you’ve got the talent, you can also use the SimPort to bring your sims to perform at other peoples cities! On that same note you can use the SimPort to request performers to come to your cities, and these are all requests done through your friends list. So if you happen to be on my Sims 3 friends list (you can find me there as stargrace) please come visit my city and perform!